CAT 2018 notification, mentioning admission procedure and others details, has been released by IIM Calcutta on Sunday, July 29, 2018. 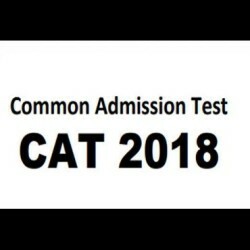 “The Indian Institutes of Management will conduct computer-based Common Admission Test 2018 (CAT 2018) on 25 th November, 2018 in two sessions. Detailed information on CAT 2018 may be obtained from the CAT website,” read a notification on the IIM Calcutta’s official website. Step 2: Go to the Know More section. Step 3: Click on CAT 2018 Advertisement/ CAT 2018 Information Bulletin. Step 4: Read the instructions and register for CAT 2018.
member institutions. A list of such institutions is provided on CAT website. IIMs have no role in the selection process of non-IIM institutions. Candidates' CAT 2018 score card will be accessible at the CAT website. Candidates may also be intimated individually by SMS. The CAT results are likely be declared by second week of January, 2019. CAT 2018 score is valid only till December 31, 2019 and will accordingly be accessible on the website. Thereafter, no queries related to issuance of CAT 2018 score cards will be entertained. Please note that a candidate needs to pay registration fees only once, irrespective of the number of institutes he/she is applying for. Fees once paid cannot be refunded under any circumstance. consideration for shortlisting by IIMs. • Negative marks (or No marks) for ‘wrong or no attempt’. • No marks given or deducted for non-MCQs.